Tucson, Arizona- January 1, 2009 – Off Road Trail Tools announces the release of their brand new, highly requested barrel storage bags for those with limited storage space in their off-road vehicles. This useful bag was designed to create and maximize storage space on UTVs, Jeeps and Dune Buggies and has the unique advantage of vertical or horizontal mounting on roll bars. Heavy duty material ensures durability and strength that will last. Will f Measures 10” long by 5” diameter. Will hold tools, small tow ropes, first aid kits and much more. Velcro straps make mounting a cinch. Easy to mount Air Fule Monitor from JET Performance works in any vehicle with oxygen sensor. Allows user to monitor driving habits and/or fine tune vehicle. Huntington Beach, CA (PRWEB) November 19, 2008 -- JET Performance Products has announced the release of an Air/Fuel Monitor for any vehicle with an Oxygen Sensor. This will allow users of the Air/Fuel Monitor part #66110 to monitor engine efficiency and fuel mileage. The backlit LCD screen allows easy viewing of eight different monitoring screens. This includes air/fuel ratio and 02 voltages. 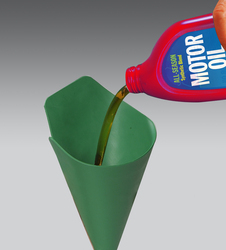 This information can be used to fine tune the vehicle. 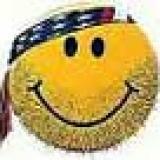 This information may also be used to alter driving habits with the end result being higher miles per gallon. The JET Performance Products Air/Fuel monitor ties in with the original stock 02 sensor and comes with a variety of mounting choices. 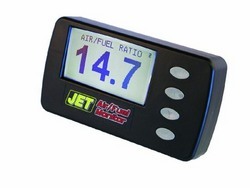 Retail price for the JET Performance Products Air/Fuel Monitor is $249.95.